The build-up was dominated by fears over security following the September 11 2001 attacks on New York and Washington, and it was a sign of the times that anti-aircraft missile batteries were deployed around the gleaming new stadia. In the event, the tournament passed off peacefully and the only shocks were restricted to the field of play. France's demise was one of the most striking surprises of the finals. They failed to score a goal and managed only a draw and two defeats to crash out miserably in the first round, the worst performance by any defending champion. But while Senegal's giant-killing run took them all the way to the quarter-finals, the most notable minnows were hosts South Korea, who recorded wins over Portugal, Italy and Spain before they bowed out in the last four to Germany. A tournament characterised by upsets ended with two of the World Cup's greatest powers -- Brazil and Germany -- meeting in the final. Ronaldo, fit again after his 1998 nightmare, scored both goals in the final as Brazil clinched a record fifth crown. Regarded as the finest defender in the world when at his peak, Maldini played in four World Cups with Italy. Naturally right-footed, Maldini nevertheless excelled on the left side of defence where he became renowned for his inspirational captaincy, elegant skills and unflappable temperament. It was a measure of Maldini's consummate professionalism that he played on for AC Milan until the age of 40, retiring in May 2009 after over 900 appearances for the club. He retired from international football after the 2002 World Cup with 126 caps and seven goals. 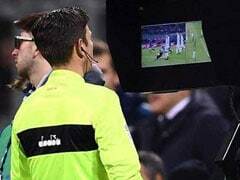 It was a disappointing end for Maldini, outjumped by Ahn Jung-hwan as the South Korean scored the goal that knocked Italy out. Italy's exit also meant that Maldini would finish a remarkable international career without a trophy after playing in losing finals at the World Cup and European Championship. The first South Korean to play in four consecutive World Cups, Hong earned a deserved reputation as his national team's iron man. An elegant sweeper, Hong's ice-cool temperament was to prove crucial as the Koreans held their nerve to advance into the last four of the tournament. Hong's tournament highlight came in the quarter-finals, when he nervelessly struck the decisive penalty that put Spain out and the Koreans through. He quit international football after the finals with 135 caps to his name. He retired from all football in 2004 after a spell in the United States with the Los Angeles Galaxy. Chilavert became one of the most recognisable figures in football during the 1990s, his remarkable prowess from free-kicks and penalties making him that rarest of breeds, a goalscoring goalkeeper. In qualifying for the 2002 tournament, Chilavert weighed in with no fewer than four goals for Paraguay, among 62 that he scored throughout his professional career. He remains the only goalleeper ever to have scored a hat-trick. But while his goals made Chilavert a popular figure with fans, the rotund shot-stopper had a well-documented dark side and often found himself violently at odds with authority, opponents and even team-mates. He was ruled out of Paraguay's opening two matches of the 2002 finals because he was serving a three-match suspension for spitting on Brazil's Roberto Carlos during a qualifier. 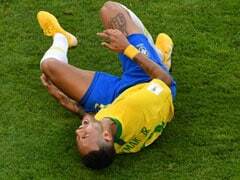 - Brazil's captain Emerson was ruled out of the competition on the eve of the tournament after damaging a shoulder while clowning around in a training session. - Cameroon's players fell foul of FIFA regulations over their sleeveless shirts. The players were eventually ordered to wear vests beneath their jerseys. - Brazil's win over Germany in the final equalled the record for most consecutive victories in a tournament, the champions equalling the seven-in-row by Italy between 1934 and 1938. 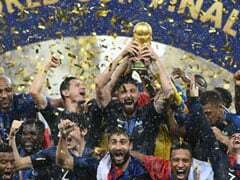 - France's first round exit was officially the worst display by a defending champion in the 72-year history of the World Cup. The holders finished with just one point from three games and failed to score a goal. - South Korea's performance in reaching the semi-finals was the best performance ever by an Asian team at the World Cup. The previous best belonged to North Korea, who reached the last eight in 1966. - Brazil's win handed them a record fifth title. Italy, with four wins, are their nearest rivals. 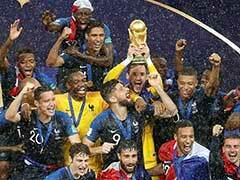 - Controversy surrounded the naming of the tournament. Japanese officials wanted the finals to be known as Japan-Korea 2002 but Korean officials successfully argued for the event to be known as Korea-Japan 2002. - The 2002 finals marked the last time that a defending champion was exempt from qualification. For the first time, holders Brazil were forced to go through qualifying for the 2006 finals.